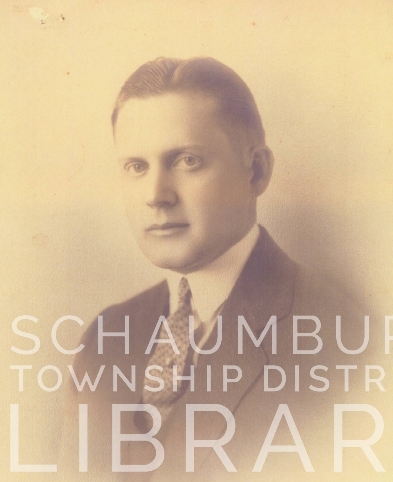 It was horses that drew Murrel A. Kern to Schaumburg Township. President and owner of Chicago-based Alliance Life Insurance Co., Kern had an initial interest in raising Tennessee Walking Horses, which are a type of show horse. Desirous of a spread that was in an easy to reach location, and with enough potential to turn it into the showplace he had in mind, he found the perfect spot on the southeast corner of Higgins and Meacham Roads. As a result, in 1928, Kern purchased the 175-acre Louis Kastning farm and began transforming the property into a farm that he and his brother, L.D. hoped would rival the horse farms of Kentucky. [Cook County Herald, November 16, 1928] They even named it Lexbrook Stables after Lexington, Kentucky, horse capital of the country. M.A. Kern and his brother, Lowell or L.D., were born to James W and Caddie Kern. M.A. was the older of the two and was born in 1888 in Goodland, Indiana. His brother was born two years later in 1890 in Ann Arbor, Michigan. By the 1900 census, the family was living in Watseka, Illinois and James was working as an attorney. Per his grandson, Jerry Kern, James eventually became the Iroquois County States Attorney. The company also operated on the top three floors of the building at 750 N. Michigan in Chicago. The two brothers had their offices in that location. 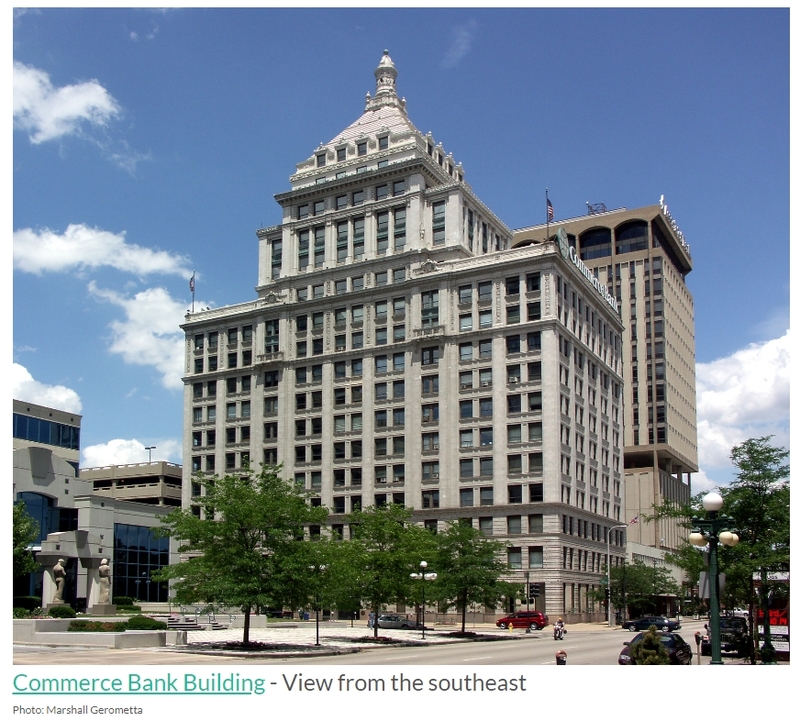 Despite the fact that he would need to commute to the city from Schaumburg, M.A. was eager to build a new house on the property that would impress others in the local horse establishment. He also had a new wife named Virginia who, according to his nephew, Jerry, “was a true Southern belle” and who M.A. wanted involved in the construction plans. They proceeded to hire a local builder named Emil Sporleder to construct a large, 7000 square foot, three story mansion in the antebellum, Neo-classical style, complete with white siding and two-story pillars in the front. It was complemented by a long, tree-lined drive off of Higgins Road that ended in a T at a circular drive that took guests to the back of the house. 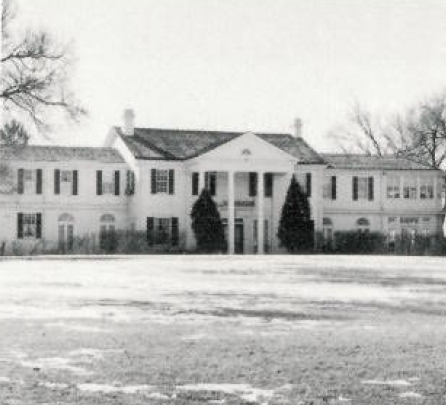 In this picture from the Village of Schaumburg’s pamphlet, Schaumburg: A Walking Tour of Historic and Architectural Landmarks, you get an idea of the size and scope of the front of the house. The house was completed sometime in the early 1930s. M.A. continued to improve the farm buildings as well. By the late 1930s the Kern brothers had branched out into thoroughbred racing and were entering their horses at racing venues around the country such as Hialeaha and Arlington. As a result, M.A. had both a racehorse stable and a saddle horse barn on the property. The stable was original to the farm and was vastly enlarged and renovated according to M.A.’s nephew. Cows and steers were also part of the farm as were fields of grain and hay. Interestingly, there were two tracks on the property. One was in the stable and the other was at the southern edge of the farm. The farm was encompassed by 5 1/2 miles of white board fencing, also designed to mimic Kentucky. 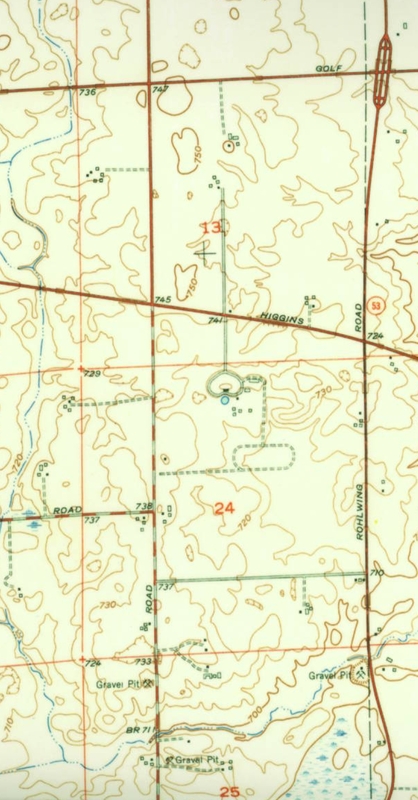 In a portion of the 1953 Palatine quadrangle topographic map, you can see the long straight drive off of Higgins Road that merges into the circular drive near the house. Directly below that is the racing oval that they used to stretch the horses and as a site for horse shows that were held at the farm for the horse community. Different accounts in the Cook County Herald, track some of the success the Kern brothers had at racing. A July 21, 1939 article mentions that several of their more recent winners at Arlington Park were Bucket Head, Mars Man, Silver Kiev and Imperial Scout. An even more exciting article from March 15, 1940 mentions that the Lexbrook Stable of L.D. Kern, whose farm was directly adjacent to the south, would be entering two horses, Designer and Potranco, in the Kentucky Derby. They weren’t winners but it was quite a local achievement. M.A.’s nephew recalls that there were three key employees who worked for the Kern brothers on the farm. Al Bodiou was their jockey and Leonard Wilson was their trainer. Albert Brown, followed by George Poirier, served as their farm managers. Poirier was a man of many talents. He could weld, work with machinery and did excellent wood work as well. In 1949 the Kern brothers sold Alliance Life Insurance to Republic National Life Insurance of Dallas, Texas. While L.D. retired from the insurance business, M.A. started another company called All American Life and Casualty based in Park Ridge, IL. M.A. continued to live on his farm during the next few years until he suffered a heart attack in 1952. He then moved to Florida where he died 18 months later on February 18, 1954 in Miami. His wife, Virginia, inherited his estate and eventually sold the property to developers. They created today’s Lexington Fields subdivision which was annexed by the Village of Schaumburg in 1959. According to an ad in the Hoffman Herald of June 15, 1961, the developer had the home and 6 1/2 acres up for sale. It was eventually purchased by Otis Schmidt. M.A. Kern succeeded in creating the showplace he desired in rural Schaumburg Township. It was horses that brought him to the area and horses and family that kept him here. What an amazing and unique sight his house and farm must have been for those who found themselves tooling down Higgins Road in the 1940s. They must have thought they were in Kentucky. Next week, look for the story of the L.D. Kern farm that sat south of his brother’s on Meacham Road. This entry was posted on June 24, 2018 at 7:00 am and is filed under Farms. You can follow any responses to this entry through the RSS 2.0 feed. You can leave a response, or trackback from your own site.